Located right at the centre of the Indian peninsula, Erode is well placed to draw farmers from all across the south. Its actually only getting back to normal now after being effectively closed for a couple of weeks on account of the general election. Organised like farmer marts of old back in Ireland, there was no central market as such – simply turn up at 5-6AM with your cow and hope you find a buyer. Getting there myself just after six, bundles of rupees were already being shuffled between farmers. 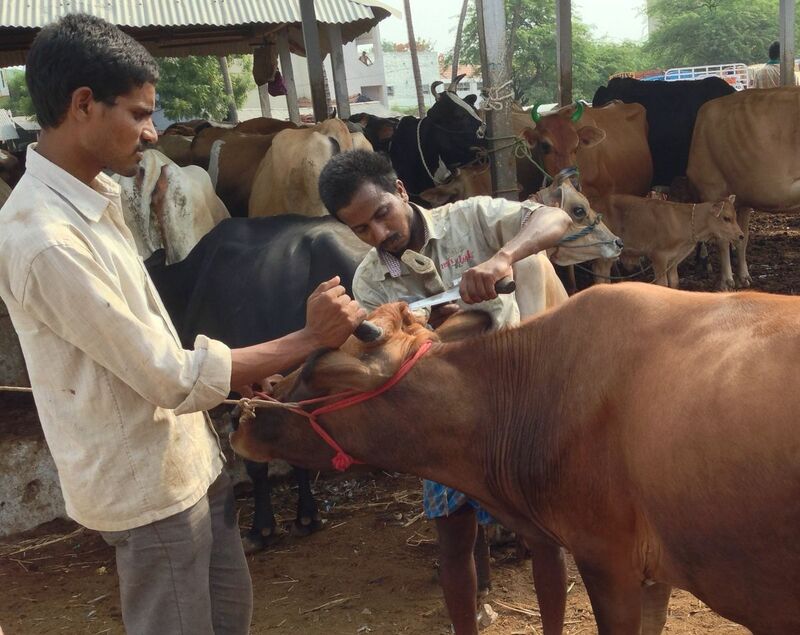 No shortage of farmer coyness either – while I saw one young jersey cow go for 12,000 rupees (about 150 euro) – cards were being played close to chests (I believe typical prices would be 2-3 times that). Even for the few posed photos of farmers with cows I had to persuade them I wasn’t a well-dressed big-farm agent disguised as a tourist. 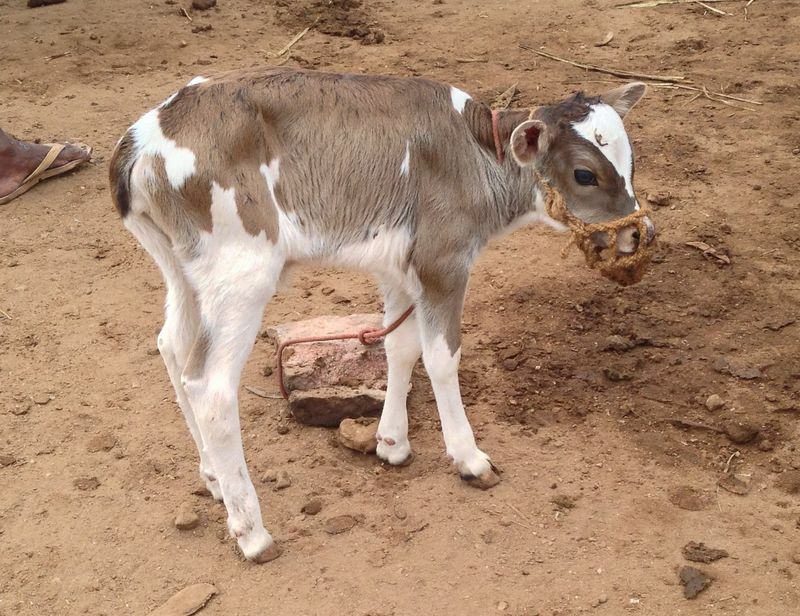 Most cows were being sold either heavily in-calf or with their calf – like this little fella. When they were sure I wasn’t there as a buyer or dealer, farmers were quiet happy to pose with their cows. There didn’t appear to be much in the way of officialdom either – although without any animal tagging, there’s probably not much to be done. It seems the only tagging is done on larger farms who tag for insurance reasons. Out of the hundreds of animals, perhaps I saw one cow with a tag? A rarity and often banned in other countries, here farmers have the horns on their cows sharpened to get a better price. The bulk of the cows (say 70-80%) on sale were Jerseys – they seem to be better adapted for the heat of the plains. 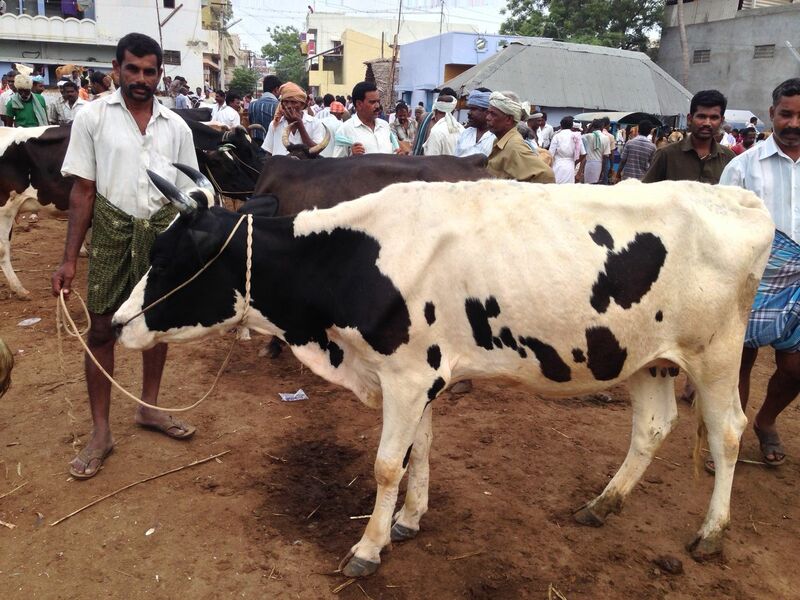 Friesians and Herefords are said to be popular in the Cauvery Delta for some reason, but are also to be found on higher altitude and larger farms with cooling showers – they accounted for say, 15% of animals. The remainder then were buffalo and local cattle breeds. 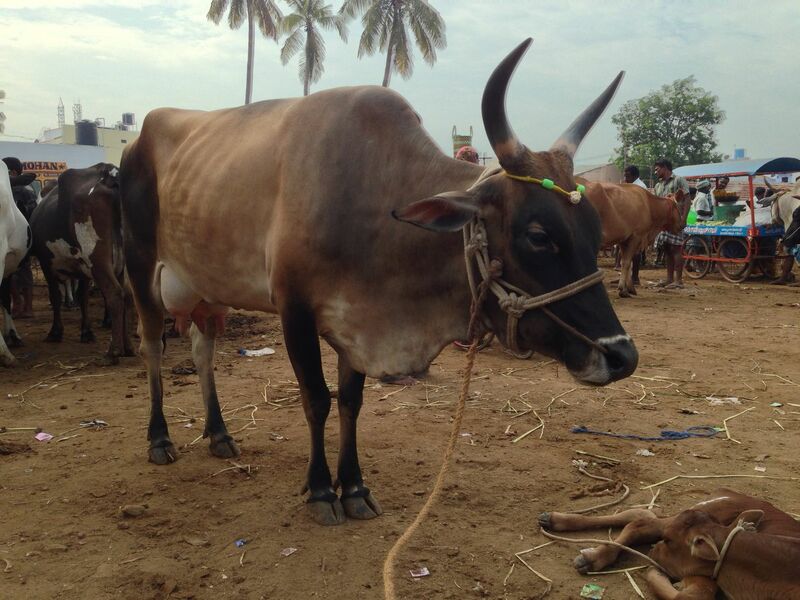 And with that, I may just have run out of cow pictures – so farewell from Erode! 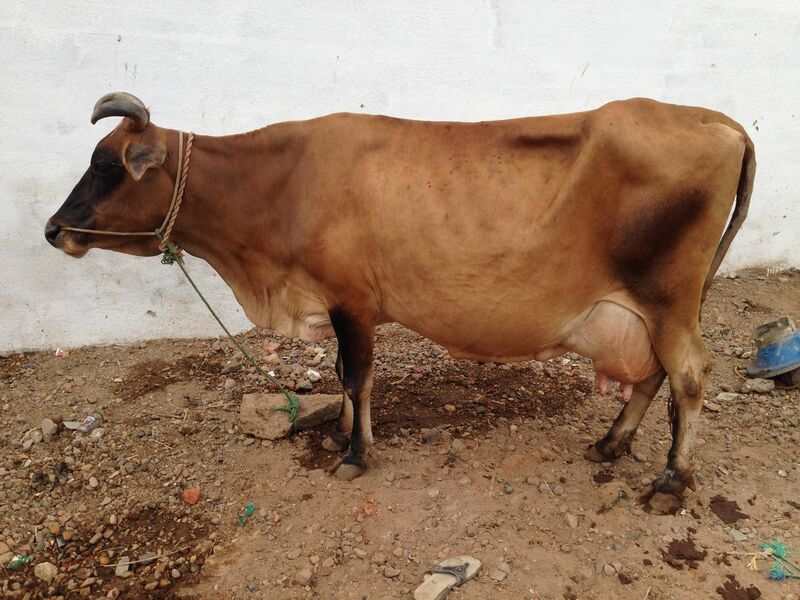 This entry was posted in Uncategorized and tagged cow market, Cows, Erode, Friesian, Hereford, India, Jersey, Karungalpalayam, Tamil Nadu on June 10, 2014 by jp1100001.